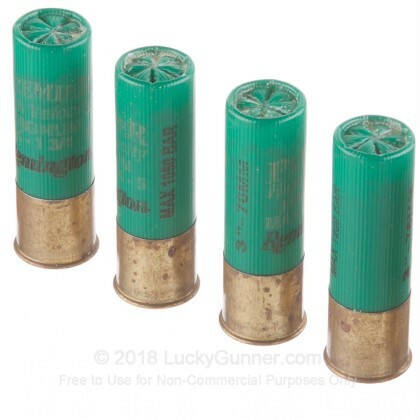 For years, the 12 gauge shotgun has been the firearm of choice for close range among soldiers, law enforcement officers, and civilians all over the world. 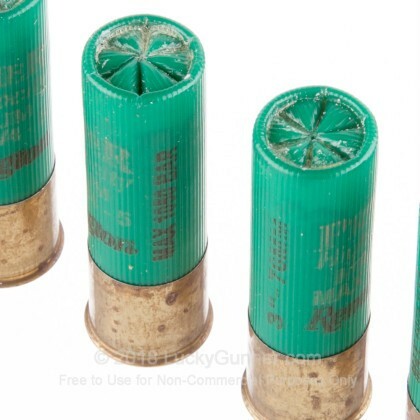 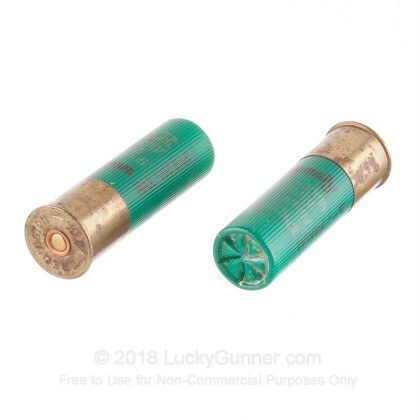 Developed in the 1870's, just after the Civil War, the 12 gauge shotgun has the incredible, close range payload that you need to blast clay targets, put meat in the oven, and protect your family from intruders looking to harm your family. 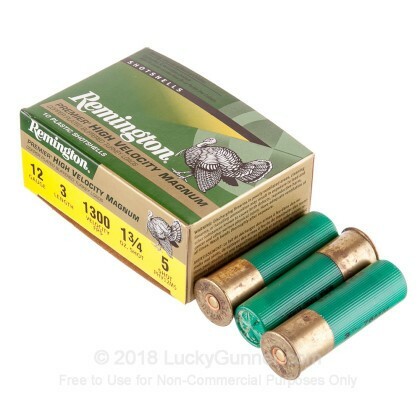 Remington has been around for two hundred years, making the incredible ammunition and firearms that America needs and becoming one of the most respected and popular companies in this arena in the world. 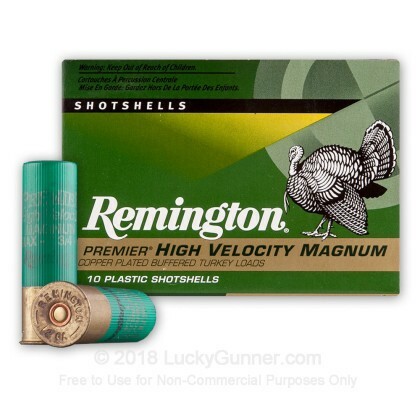 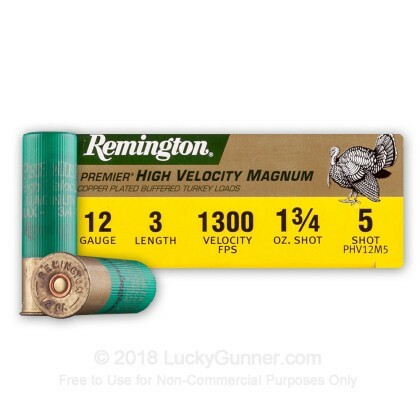 With these Remington Premier, high velocity, Magnum Turkey, 3", 1 3/4 ounce, #5 shot shells, firing at 1300 feet per second, your turkeys don't stand a chance.